Founded 25 years ago as an employee-owned home care agency in the South Bronx, Cooperative Home Care Associates is now the largest worker cooperative in the United States, employing roughly 2,000 African American and Latina workers in the poorest urban county in the United States. CHCA’s nonprofit training arm, Paraprofessional Health Institute, annually trains more than 450 inner-city women to become home health aides. As a worker-cooperative, CHCA invites all employees to purchase a $1,000 ownership stake in the company, through modest weekly payroll deductions of $3.65. Worker-owners receive annual dividends based on our profitability, the right to serve on CHCA’s Board of Directors and vote in elections for 8 of its 13 members, and free tax preparation to help its worker-owners to obtain Earned Income Tax Credits. In 1985, CHCA's founders—Rick Surpin, a nonprofit manager, and Peggy Powell, an educational specialist—saw that the low-income workforce development field was led almost exclusively by nonprofits and public agencies. They built a for-profit firm conceived as a "model employer" for the home health care industry with 12 home health aides that year. To ensure that CHCA would always remain committed to creating the best jobs possible, they structured it as a worker-owned cooperative so the aides would own and control the company and the resulting corporate culture would be built around them. This internalization allowed an unparalleled depth of knowledge into all aspects of the industry, as opposed to an outside-in view as a nonprofit. CHCA's training program arose due to the inadequacy of available education at the local community college. Through a process of learning-by-doing, CHCA arrived at a program that offers double the 75 hours of training required by federal and state regulations to ensure that trainees learn the many clinical and interpersonal skills required for success in home care. This covers preventive health, bathing, transport, and meal preparation as well as active listening, nonjudgmental communication, collaborative problem-solving, and participative leadership. 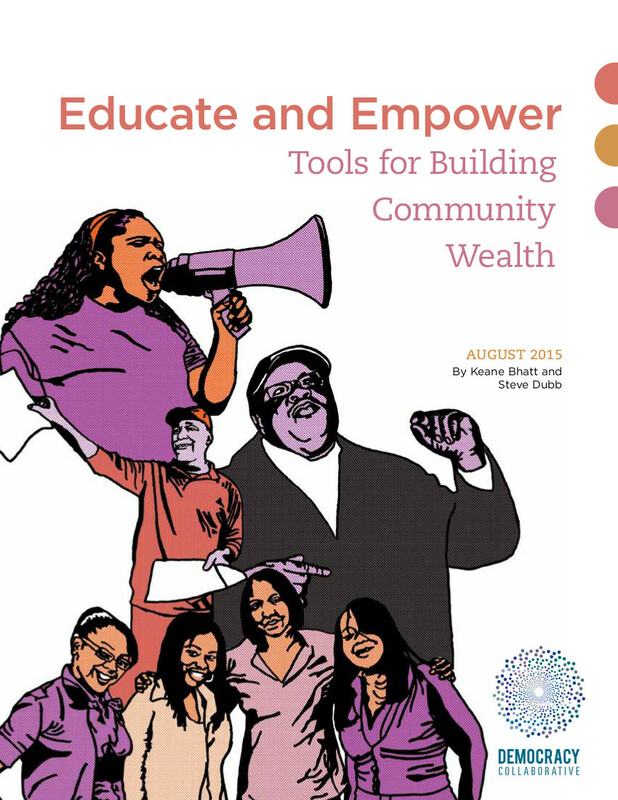 Learn more about the Cooperative Home Care Associates and other innovative community wealth building initiatives in our report Educate and Empower: Tools for Building Community Wealth. PHI's training success lies in its "disruptive" approach to the sector: CHCA and PHI view the industry's flaws—low investment in staff, leading to high turnover, leading to low quality of care—as an opportunity and a competitive advantage. CHCA’s decision to invert this model makes deep training, human development and wealth building all tools for worker retention. PHI's pedagogy is competency-based (designed around what the individual is expected to know and do); adult learner-centered (respecting and building upon what the individual already knows and is capable of doing); and contextualized within a relationship-centered environment (acknowledging that caring, stable relationships between consumers and workers are essential, so that both may live with dignity, respect, and independence). Use Peer Mentorship: Another example is the peer mentor program that resulted from complaints and ultimately higher turnover resulting from the isolation of the work. Today, six full-time Peer Mentors and an additional nine senior direct-care staff who also play formal Peer Mentor roles provide support to CHCA home care workers. They meet training graduates on the last day of home health aide training and provide support to new homecare workers through phone calls and in-person accompaniment. The Peer Mentors guide new graduates through the challenging first 12 weeks of employment. Institutionalize Solutions as Long-term Programs: CHCA confronted issues in its day-to-day functioning that led to the development of programs which now have existed for decades. For example, when aides had graduated an intensive training program but came short with work hours commensurate with a "decent paycheck," the organization created the "Guaranteed Hours Program" to ensure a minimum of 30 hours of work for senior aides (those who had put in roughly three years of work). This necessitated the "restructuring of the entire management system" to tailor it to work-hour allocation for the aides.